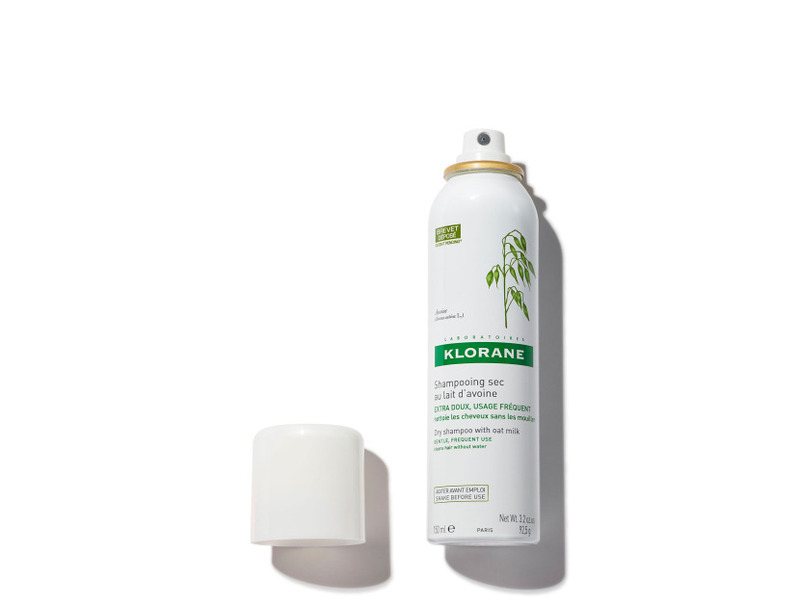 Klorane Dry Shampoo with Oat Milk has got to be my new favorite product. As I have figured out finally that I shouldn't be washing my hair every day or even every 2 days, I have tried out some different kinds of dry shampoo for the first time in my 42 years. Klorane Dry Shampoo is hands down my favorite so far. I only use just a couple of sprays on my roots each day that I don't shampoo in the shower and it brings my hair back to life without feeling like there is a sticky residue left over on my hair. 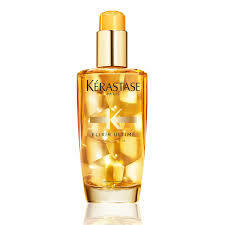 It has an Allure Best Beauty Award and I understand why so many women must love it as much as I do. I will definitely be buying more of this when it runs out. I recently tried the Jouer Luminizing Moisture Tint in "glow". I have tried it before from an earlier box and wasn't a huge fan, but thought that I would give it a shot again since I could definitely use a little GLOW in these early March months. This product is very light and I think that I may have the wrong color or tone to use on my skin. I become very fair in the winter time and the "glow" may be a little much for me. 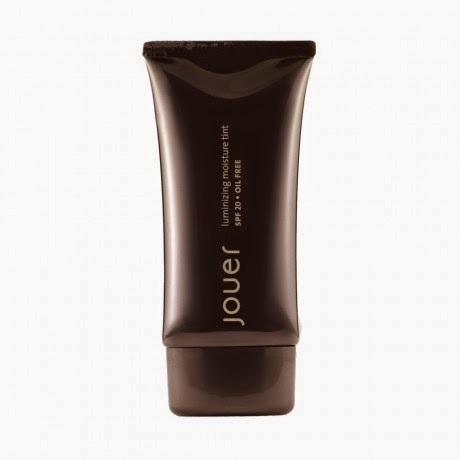 I would really like to try the matte products that Jouer offers. I do like the texture of the product am really like the fact that it includes a 20 spf. Will have to come back to this one once I find the right color for me. One of my favorite product lines that I discovered from receiving Birchbox is Vichy. I received an "extra" box from Birchbox in 2012 with a group of products from Vichy. I still continue to use the Vichy Laboratories Aqualia Thermal Rich Cream . Throughout the years, I have tried quite a few moisturizing creams including all of the different samples that I have received from Birchbox and keep coming back to the Vichy line. I am 41 and still can have breakouts if the moisturizing cream is too rich or contains things that will irritate my skin. I feel that it gives me the moisture I need and gives a glow to my skin especially after using it consistently. 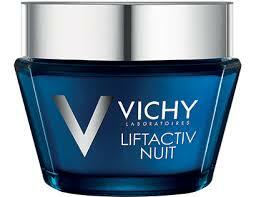 I also use Vichy LIFTACTIV NUIT -Night -Intensive Detoxifying Firming Care cream. I feel that my skin feels and looks so healthy in the morning after using Vichy's cream at bedtime. I have always been a person who prefers to keep the least steps possible to maintain a young, healthy look, but I can always tell when I remember to use the Lift Active Nuit the night before. I will keep this in my daily routine. Vichy has a huge line of skin care products and I have been planning to try their eye cream and cleanser. Let me know if anyone uses them regularly. I would love to hear your opinion! Has anyone tried Ipsy? I was told by someone who commented on my blog awhile ago that I should try Ipsy. I recently looked into Ipsy and it looks like it is very similar to Birchbox....there is a questionnaire to personalize your profile. Based on the profile that you construct, they will send you sample size and full size beauty products just like Birchbox. But, it also looks like the products come in a cute little make-up looking bag. It is also $10 per month and you may cancel at any time. It also looks like there are stylists with Ipsy who work to find the best products. I have signed up for Ipsy but have not received the latest Glam Bag yet, so I may have to compare Birchbox with Ipsy as soon as it arrives. I tried out my new Ruffian Nail Lacquer from September's Birchbox over the weekend. From what I read on the little product information card that Birchbox provides with each shipment is that this is Ruffian's first go at nail lacquer and it is exclusive to Birchbox. My husband and I had a "date night", so my low maintenance self decided to actually make my toes look presentable. The color is Fox Hunt. It is a bit bold but very suitable for a pop to the toes...especially since Fall is upon us. It has been four days since I painted them with 2 coats and I have to say that it has help up pretty well considering I am still wearing flip flops most days or throwing on running shoes to try to get a work out in. I can't say that the brand blows my mind, but I would recommend it for the smooth application and durability. I received my September box today and I have a new favorite product! I am someone who loves lip gloss and I found my new favorite brand and color! It is called Sugarbomb Ultra Plush lip gloss by Benefit. It is a caramelly-pink color and is so smooth and natural-looking. I am someone who always needs to have something on my lips, even if it is Vaseline. I am not a big fan of the way lipstick feels, so I am always trying to find the perfect lip gloss....and I may have found it!